Rigby John Klusener is hitchhiking to San Francisco. The year is 1967, the town is Pocatello, Idaho. Fresh out of high school, Rigby John is leaving behind his bohemian ex-girlfriend, his prayerful mother, his distant father, and the hay dust of his harsh farm town Catholic upbringing. As he stands by the side of the road desperately waiting for that one ride out, he reflects on the events that brought him there: the discovery of love, friendship, literature, and all the small joys that set him free. 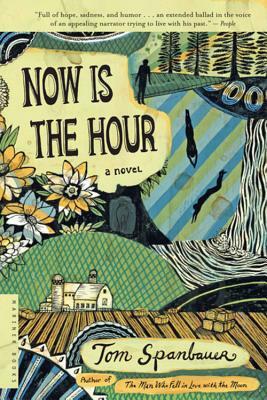 At once a tale of sexual awakening, racial enlightenment, and personal epiphany, Now Is the Hour is the disarming and sweetly winning story of one unforgettable teenager who dares to hope for a different life. TOM SPANBAUER is the author of the beloved classic The Man Who Fell in Love with the Moon, winner of the Pacific Northwest Booksellers Association Award for best fiction, and a “dazzlingly accomplished” novel, according to the Washington Post. His earlier novels are Faraway Places and In the City of Shy Hunters. He lives in Portland, Oregon.